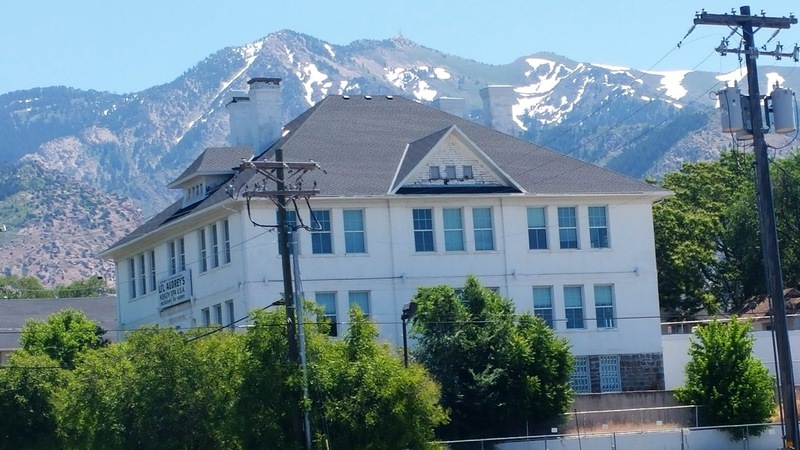 We have been at Charlie’s Service Center in Sunset, UT as information was gathered to understand the scope of repairs and provide information to the insurance company. Charlie’s business began as a muffler shop and expanded into auto repairs a few years later. They now work on cars, trucks and RV’s and there is plenty of work to keep them busy this time of the year. Justin and Mandy Dubose own the business and they stay busy trying to keep up with the business, taking care of their son, Austin and racing their dragster when local meets are held. There are currently about 20 RV’s on the lot, some waiting for the owners to pick them up, some awaiting parts arrival and a few with work in progress. One of the auto mechanics is off work with a hand operation and Justin has been spending time with both cars and RV’s. Gilberto works with Justin on RV repairs and they both stay on the run. The shop is usually closed on weekends, but both were working part of Saturday to keep up with the volume of work. We spent Sunday, June 4, 2017 at home watching snow melt on the mountains. The temperature was 92 degrees in the afternoon and I chose that day to refill our batteries with water. That was enough exercise for me and I was glad to get back inside with conditioned air. The insurance inspector came by on Tuesday and looked at all the repairs that need to be done, took pictures and turned in his report to the insurance carrier. They pulled our air conditioner so the inspector could see the work they had to do to make our propane furnace functional. It turned out the insurance would not cover that repair anyway. It got hot inside, but we got by using our fans. We are glad to get past the insurance hurdle. We expect the work to progress, now that they have all the information they need and we have agreed on a repair cost range. Of course, work progress depends on parts arrival. We appreciate Mandy and Justin working with the insurance company to get most of our maintenance issues covered. Kathi will be glad to get her washer/dryer and convection microwave back in operation. I may talk her into beans and cornbread soon. 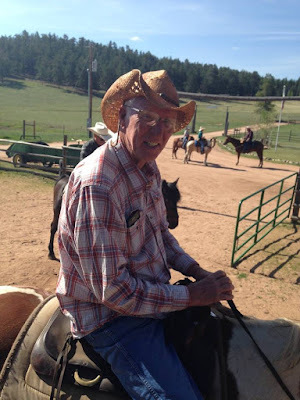 Our nephew, David Clark has lived in Colorado Springs for a couple of years and his dad, Carl visited him this week. They have been having fun with some hiking, horseback riding and other manly ventures. Carl is my brother-in-law and just one year younger than I am. 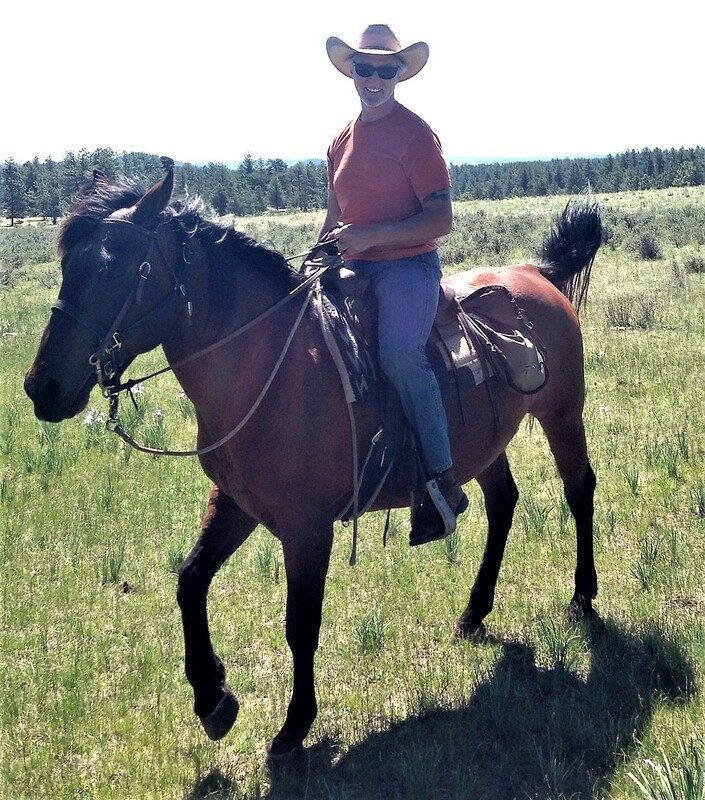 I am glad he feels like riding and hiking. I think they are having a good time. Our oldest son, AJ lives in Austin and sent us several pictures of the ROT (Republic of Texas) Rally that is going on there. 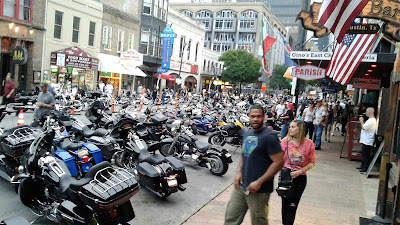 There are herds of motorcycle riders in town to share a weekend of camaraderie and music fun. The ROT Rally is thought to be the loudest week of each year in Austin. I am glad I am not there, but I do like to see the motorcycles. Another good week for us and soon we will have to decide where to go next. It may be a hard decision, but who cares. Wherever we are we will enjoy being alive. 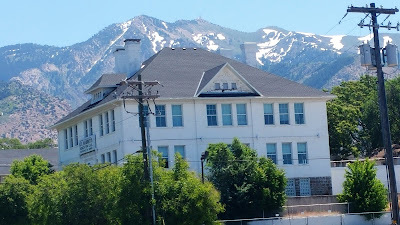 Great pictures of the mountains in Utah and David in Colorado. I spoke to David via text and found out he was having a visit with Uncle Carl. I sure was glad the insurance people came to see you. I will call soon.